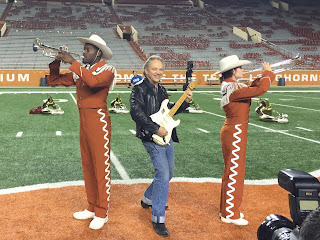 Austin TX – The University of Texas at Austin Longhorn Band Director, Scott Hanna, announced today that Grammy-winning blues guitarist Jimmie Vaughan will perform with the Longhorn Band during halftime at the Texas vs. Texas Tech football game at Darrell K Royal - Texas Memorial Stadium on Thanksgiving Day, November 26. 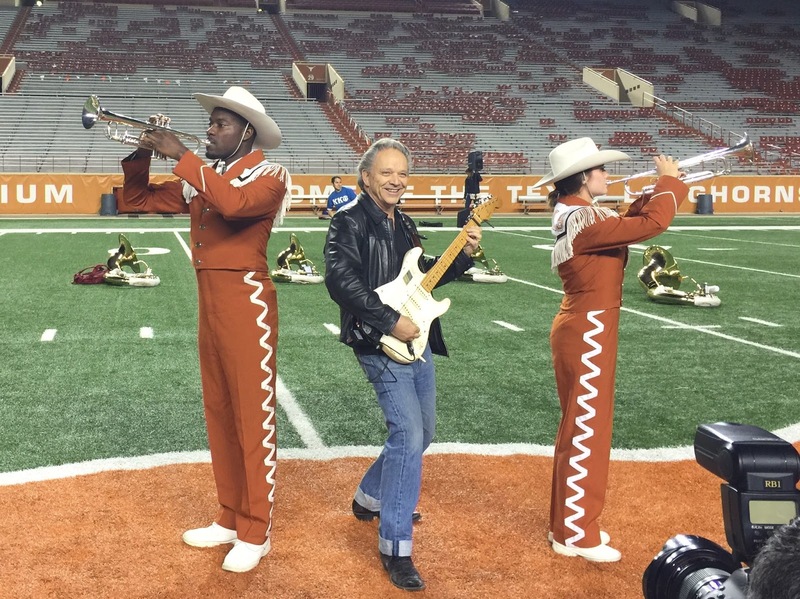 “We are excited beyond words about this opportunity to perform with Jimmie Vaughan and to show that Austin is the ‘Live Music Capital of the World.’ For our students, this is an incredible opportunity to connect with their Texas musical heritage through a living legend,” exclaimed Hanna. The performance marks the first time a popular musician has played with the band during a halftime performance. Tickets for the UT/Texas Tech game may be purchased at TexasSports.com. The recognition of one of Austin’s hometown musical heroes caps off an extraordinary year for Vaughan, who was honored by both the Texas House and Senate when he was named the Texas State Musician for 2015. In addition, Vaughan accepted the honor of induction into the Rock and Roll hall of fame on behalf of his late brother, Stevie Ray Vaughan. During the musical portion of the induction ceremony, Vaughan lead a blistering guitar-slinger’s set and was joined onstage by John Mayer, Doyle Bramhall II, Gary Clark, Jr. and Stevie’s Double Trouble bandmates.